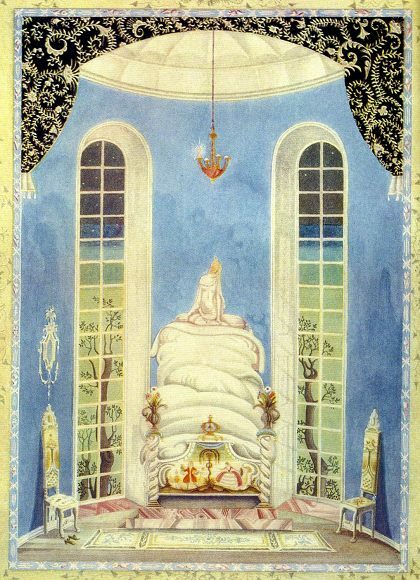 Kay Nielsen,　Princess and the Pea, 1924. Little Lotte, let her mind wonder. "Am I fonder of dolls or of goblins or of shoes?" Or of riddles or frogs? Those Picnics in the attic. "was when I'm asleep in my bed." You sang like an angel tonight. 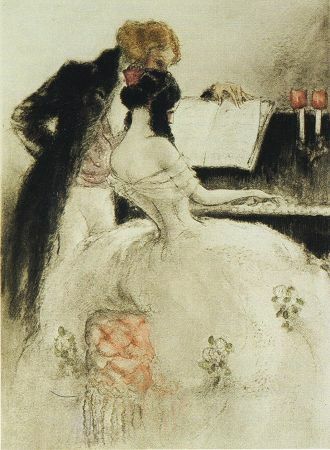 I will send the angel of music to you." Well, father is dead, Raoul. And I have been visited by the angel of music. Oh, no doubt of it. And now, we go to supper. the angel of music is very strict. Well I shant keep you up late. 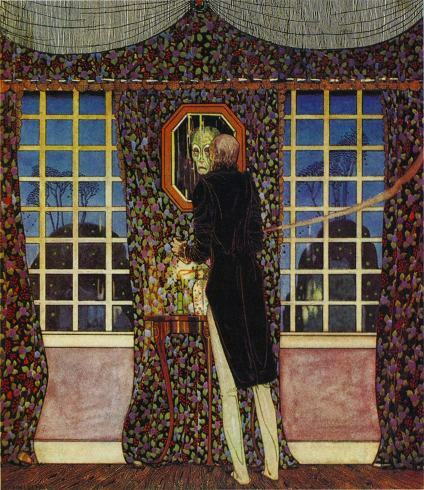 Kay Nielsen:　The Man who Never Laughed.